Freckle Face is a small shop with a love for all things quirky. Bringing new purpose to old items, as well as creating new items from scratch is what we're about. 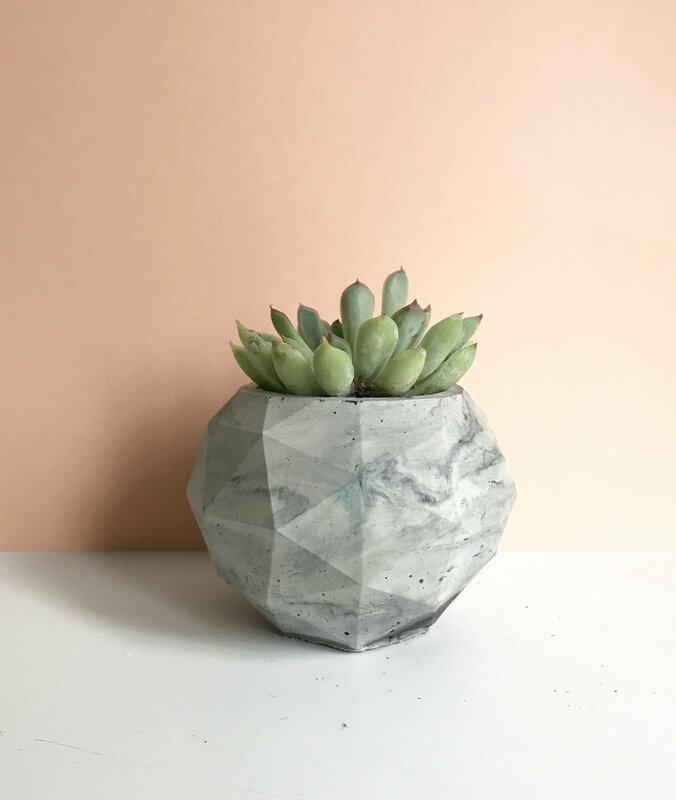 You will find repurposed dinosaur planters, to funky baby face planters, To cute and stylish geometric shaped pots. Each item is Handmade by me, there is a lot of effort going into each piece. Whether it's cutting holes and painting, or designing and creating my own molds for cement, I love it all. Follow @freckleface.collective on Instagram to hear all the latest from her small shop.